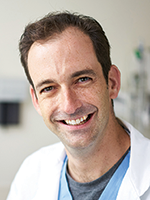 Urology practices that have yet to incorporate telemedicine must embrace it or risk losing out on payer and patient opportunities, said Aaron Spitz, MD, Director, Center for Male Reproductive Medicine and Surgery, Orange County Urology Associates, CA, at the 2016 American Urological Association (AUA) Practice Management Conference. “Doctors will want it, because telemedicine is very convenient. State legislation is friendly to telehealth. More and more legislation is mandating payment for these services. As we go forward, we will need to incorporate telehealth into our medical education, because this is going to become increasingly standard operating procedures. There are certain nuances to evaluating a patient on a screen versus in person,” said Dr Spitz. “As telemedicine comes online, we may need to reevaluate just how severe the workforce shortage really is, and how many new doctors we really need to train and avoid going from a workforce shortage to workforce glut because of the technology,” he added. According to the American Telemedicine Association, telemedicine is the use of medical information exchanged from one site to another via electronic communications to improve a patient’s clinical health status. In recent years, the definition has expanded to incorporate applications and services that involve 2-way video, e-mail, smartphones, wireless tools, and other forms of telecommunication technology, said Dr Spitz. In urology, telemedicine can address multiple workflow issues that can put stress on an organization and on individual providers, including rounds at multiple facilities; delayed office appointments resulting from the time required for morning rounds; canceling patient appointments because of emergency consultations; and delays and time constraints that frustrate emergency department personnel, operating room personnel, and patients. “Telemedicine is a good solution, because it is available now. It used to be a thing of the future, but the technology has caught up….It really does bridge distances and saves time and, therefore, multiplies your reach. Studies have shown that telemedicine has a low error rate, and is associated with high patient satisfaction. Patients actually love it,” said Dr Spitz. Currently, telemedicine takes place across a bidirectional video connection on a mobile platform, using a secure, virtual private network broadband connection. The majority of telemedicine systems have the ability to record and archive pictures and video. Some systems have picture-in-picture, split-screen, or other multiscreen capability to accommodate the sharing of multiple types of information. In addition, some systems can accept plug-in monitoring devices, such as stethoscopes, ultrasound, infrared light, and telemetry. Telemedicine systems can be enhanced with the use of patient-side assistants who have a range of medical credentials and skills, and who can be trained to perform simple and complex tasks. The assistants include nurse practitioners (NPs) advanced practitioners (APs), and even trained community volunteers. “A relatively inexpensive workforce can increase the access of more patients, in more places, to a single urologist,” said Dr Spitz. Dr Spitz gave an example of an established, successful telemedicine practice of Peter N. Bretan, Jr, MD, FACS, who has a solo urology practice in Marin County, CA. Using a robotic platform, he provides around-the-clock urology coverage for 6 rural hospitals and 1 prison clinic, none of which has onsite urology services. For the past 6 years, Dr Bretan has performed emergency department and inpatient consultations, surgical scheduling, postoperative rounds, discharge consultations, and other services via telemedicine. The success of Dr Bretan’s telemedicine program is attributed to several key factors, beginning with the establishment of a compelling doctor–patient connection, facilitated by the face-to-face interaction. In addition, patients appreciate the prompt service they receive, and the convenience of telemedicine. Furthermore, NPs and other APs are familiar with the platform and workflow, as are referring physicians and physicians who are involved in consultations. Finally, hospitals have trained support staff who are willing to perform catheter placements and other services. The hospitals that work with Dr Bretan have supported the development of the necessary infrastructure. Scheduled outpatient telemedicine urology clinics at hospitals with limited or without regular urology staffing. In addition, 95% of patients rated the telemedicine experience as very good or excellent. The VAGLAHS urology telemedicine program has no formal inclusion or exclusion criteria; rather, patients are evaluated by telemedicine on a case-by-case basis, accounting for their comorbidities, socioeconomic support system, travel distance, and the relationship between the patient’s primary care provider and urologist. More recently, telemedicine has expanded to include shared medical appointments, minute clinics, and office-based kiosks. Shared medical appointments bring together patients who share a common condition, allowing the clinician to deliver the same information to all the patients at once and then answer their questions. Shared appointments have raised issues regarding reimbursement that are being reviewed and discussed, said Dr Spitz. Kaiser Permanente set up Minute Clinics at selected Target department stores in Southern California. Patients see an onsite provider, such as an NP or AP, and a physician is available for consultation via a 2-way video link. Kaiser Permanente also established the first office-based telemedicine kiosk in San Diego County. Employees can have telemedicine consultations from the worksite, facilitated by an onsite practitioner and a video link. Starting from scratch, establishing a telemedicine system can be simple and inexpensive to very sophisticated and costly. Start-up requires a designated leader or a coordinator. Ideally, 2 “champions” are needed for a successful program—a clinical champion (physician) and an administrative champion. The technical components of the telemedicine system are an obvious consideration, but start-up essentials also include a telemedicine clinic coordinator, adequate consideration of legal and risk management, compliance issues, and adequate information technology support. The AUA formed a telemedicine subcommittee within the Laparoscopic, Robotic, and New Technology Committee. The subcommittee reviewed state laws regarding telemedicine (including licensure, advance notice, and patient consent requirements), and developed recommendations for telemedicine in urology, covering the setting, technology, privacy, and other issues. Reimbursement practices for telemedicine programs also vary considerably by state. Every state except Rhode Island has some telemedicine coverage for Medicaid beneficiaries. Dr Spitz said that 32 states and the District of Columbia have laws related to the private coverage of telemedicine. Medicare currently has limited coverage of telemedicine, restricted to beneficiaries living in rural areas.